Brilliant street art from Russia. Artist unknown but too awesome not to share. 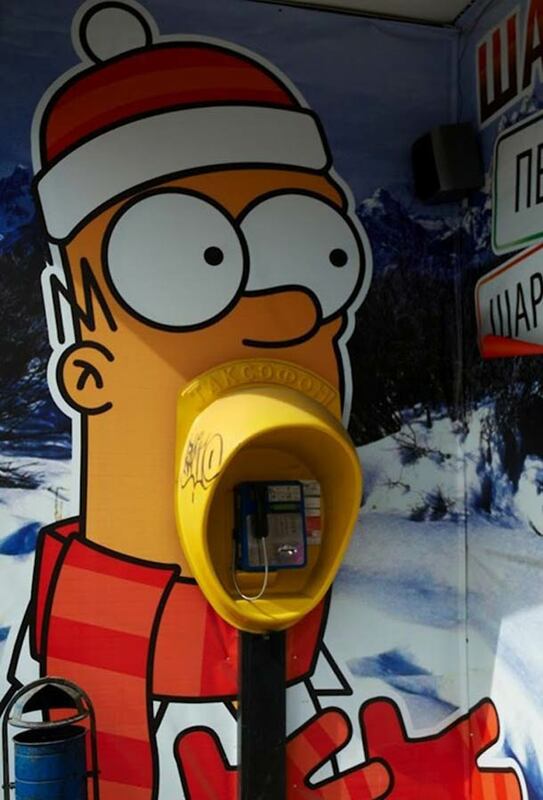 Awesome telephone booth! If it's Homer Simpson or something related to the show, it's got to be great!